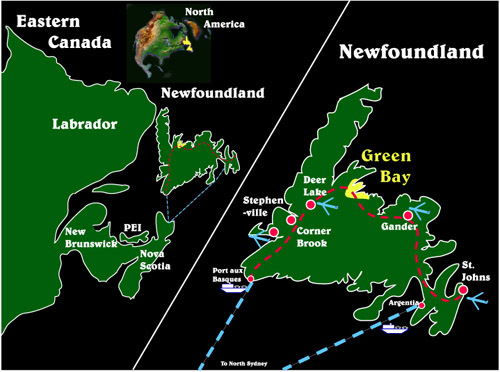 Photography of Wildlife & Natural Areas of Newfoundland; Regional Map. Move mouse over GREEN BAY for zoom map. Please note that this page is optimised for Internet Explorer 4.0 and higher.